Your roof protects your whole house. 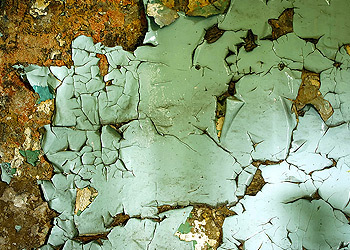 When your roof is ailing, other parts of your house suffer as well. Here are obvious symptoms of a roof in need of repair or replacing. If you notice any of these on your home, contact A&B Roofing, LLP today. Our expertise can help you determine the condition of your roof and solutions for its repair. Blistering paint on the exterior of your house is good indication that water is not being properly channeled away from the structure. This could mean leaks in the roof or faulty gutters and downspouts. 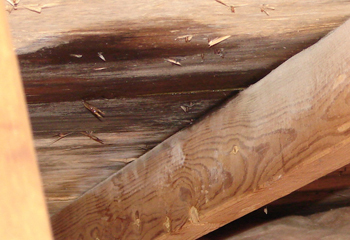 Wet roof boards from inside your home attic are a sign of damaged or missing shingles. This may show up whenever it rains, thus indicating an obvious leak. Or it may show up only when strong winds drive rain from a particular direction. 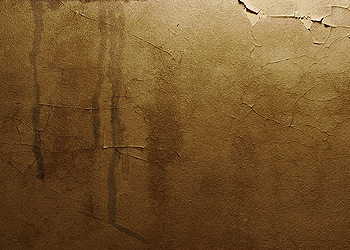 Water stains inside your home, particularly along the upper walls, ceiling and attic rafters, indicate water is seeping through somewhere. This is complicated by the fact that water doesn't always follow a straight path, so it may not be coming in directly at the spot of damage. Your roof may be leaking in a specific area or it may need a complete replacement. 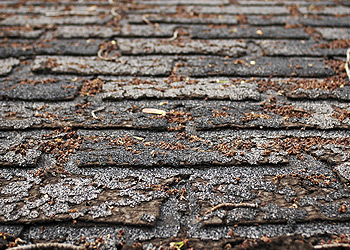 When the corners of your shingles begin to curl upward or under, your roof becomes vulnerable to wind and ice damage. Causes of curling may be moisture build-up, poor ventilation in the attic, poor quality shingles and/or installation, or simply age. Air-borne algae or fungus sometimes grow on roofs, most often in warm and humid climates or heavily wooded environments. While these do not affect the service life of your roof, they affect its cosmetic appearance, making it look streaked and dirty. 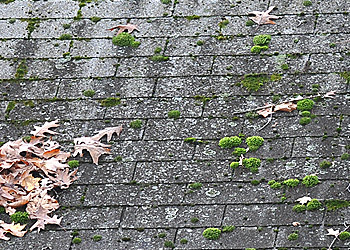 Moss growth causes shingles to age prematurely by breaking down their fibers and forcing them apart. This, in turn, creates leaks within the roof. A preventative measure is to keep tree branches trimmed away from the house, thus allowing for sunlight and dry air.